I never thought I would have a recipe box dedicated to one ingredient, but I am becoming dangerously close to having just that with my Chex Party Mixes. They are so versatile, and you can make them in large quantities for nursery school snacks, birthday parties, and adult get togethers. The almighty Chex cereal (and its distant cousins– Crispix and Golden Grahams) are the perfect base for sweet or salty snacking. The neighborhood card sharks met in our backyard office Saturday night, and I made Tijuana Tidbits. This is the newest member of my Chex Party Mix recipe box. Watch out, it has a kick! Do you have any Chex Party Mix combos I can add to my arsenal? I have many sweet Chex recipes like the Dinosaur Chex Mix, but I am looking for some more savory combinations. Combine chips, cereal, popcorn, and nuts in a large bowl and mix gently. Combine corn syrup, margarine, brown sugar, chili powder, cinnamon, and cayenne pepper. Heat to boiling and pour over Frito mixture. Stir until coated. Pour coated mixture onto a roasting pan (sprayed with Pam). Bake 1 hour, stirring every 20 minutes. Remove from oven and turn onto waxed paper to cool. Store in airtight container. When we go back to school next month, I am going to recommend your blog in our school’s monthly newsletter. So many great ideas! Thanks. I would love that! I would also like to hear if anyone uses the “Book Buddies” and if they are successful– and any variations you come up with. 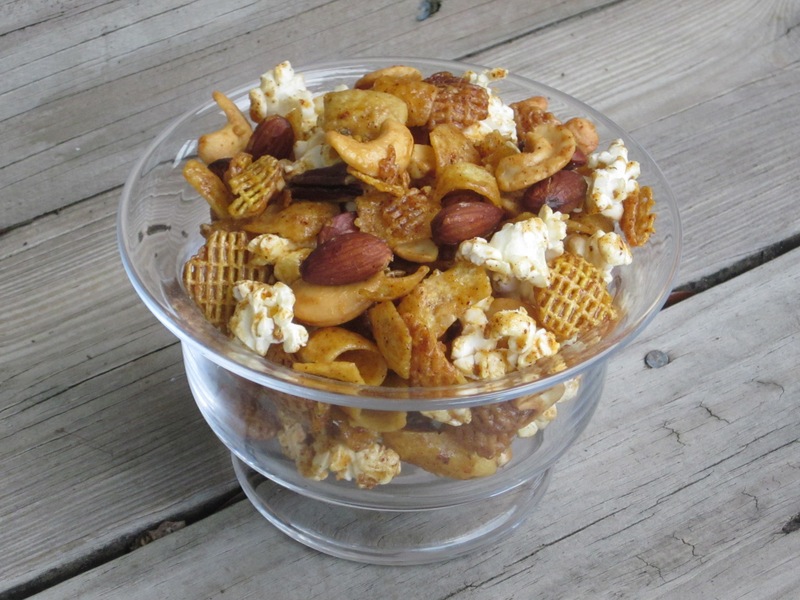 Do you have a recipe for the Cheerio/Chex snack mix that you could buy in individual servings? They have discontinued this product and I have been looking for one. Is it a salty mix? I have the original Chex Mix recipe with the Cheerios. This is the one my mom always made around Christmas time. I hope it’s close! We sometimes needed more melted butter and Worcestershire to get the cereals coated well. Heat oven to 250 degrees. In ungreased roasting pan, melt butter in oven. Stir in seasonings, gradually stir in remaining ingredients until evenly coated. Bake 1 hour, stirring every 15 minutes until browned. Spread on paper towels to cool.